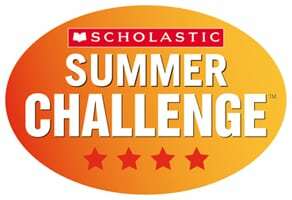 The Scholastic Summer Challenge is a free global program dedicated to getting kids to read every day throughout the summer months, ultimately ensuring children worldwide enhance their literacy skills and discover the joys (and countless benefits) of reading. Through the encouragement of friendly competition and aiming to set a reading world record, kids (ages 6-12) log their reading minutes, track their reading stats, earn virtual rewards through the Scholastic Summer Challenge site, apps and social media platforms. The campaign’s media relations goals included: 1.) Increase media outreach with an eye towards driving the campaign to teachers, parents, and kids, with the ultimate goal of surpassing the 2013 reading world record (which it ultimately did); 2.) Enlist the help of reading advocates from across industries, including governors and their spouses, parent bloggers, experts and more; and 3.) Leading online conversations about the importance of summer reading and integrating relevant summer reading messages into all of its social content. Scholastic’s efforts resulted in widespread media coverage; coverage included NBC affiliates (Florida, Connecticut, Alabama, Kentucky, etc.) and highly-watched programs including NY-affiliate WABC Eyewitness News as well as mentions on over 300 different parenting, literary, education, and school blogs, newsletters, and websites. In addition, blogs of television networks, TLC’s blog Parentables and Lifetime’s blog Lifetime Moms and reputable parenting sites like Macaroni Kid, created well-rounded coverage.